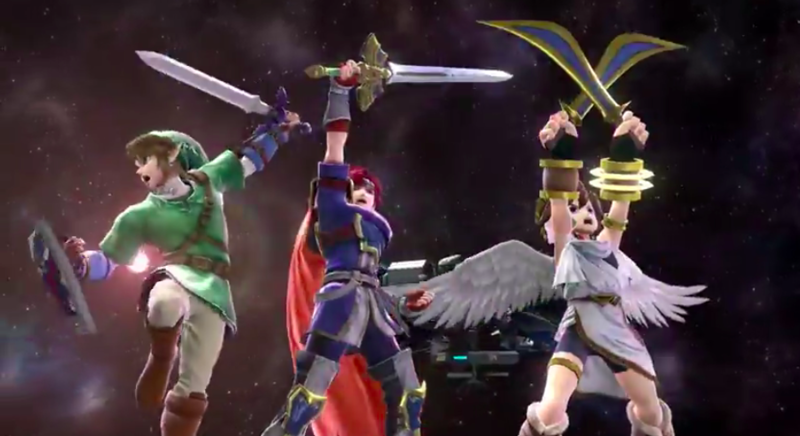 Though not (yet) officially announced, we have reason (a couple videos) to believe that Roy from Fire Emblem and Ryu from Capcom’s Street Fighter games are headed to Super Smash Bros. For Wii U and Super Smash Bros. For 3DS as upcoming DLC characters. Check out the videos below. And here’s Roy… our boy. The inclusion of both characters should come as no surprise to Smash enthusiasts, as Roy was one of the first Fire Emblem characters to be introduced in the United States thanks to his appearance as a player fighter in Super Smash Bros. Melee for the GameCube. As for Ryu, he was rumored to be “in the code” for months, as per discussion of users on Reddit. Still, these are both exciting inclusions, as these announcements have come weeks after the release of psychic Pokémon Mewtwo as well as the much anticipated DLC release of Lucas, expected to coincide with Nintendo’s Digital Event on Tuesday morning. While this is only a rumor and there’s no guarantee that this is true, the linked vignettes below look to be solid enough evidence. At that, we don’t even know if Ryu or Roy were characters added due to the fan ballot, or whether Nintendo had this planned anyway. We’ll get official word on Sunday morning, 7:40 AM PT as Masahiro Sakurai will have a mini Nintendo Direct dedicated to Smash 4 DLC.